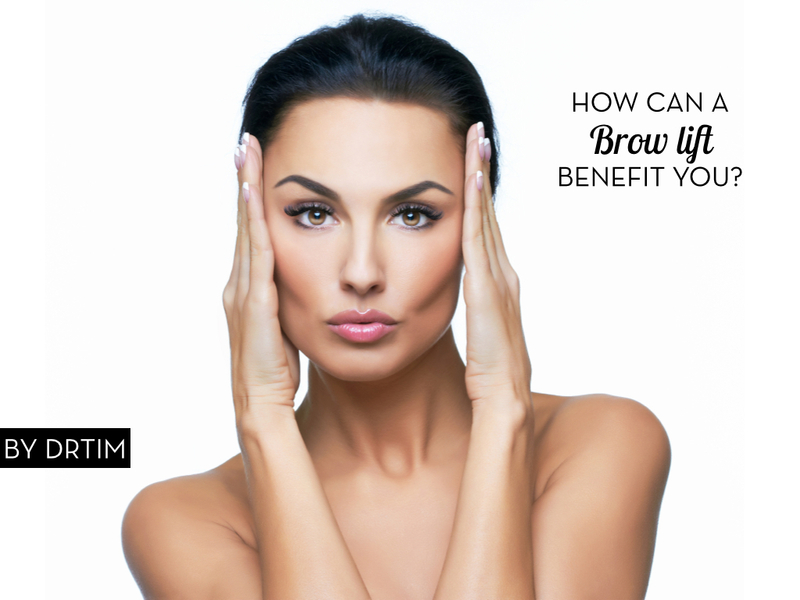 How Can a Brow Lift Benefit You? Appearance is everything these days and unfortunately, the ageing process is something we all must inevitably suffer whether we like it or not. There is still hope, however, for those of us who suffer from droopy eyebrows, sagging skin or deep furrows on the forehead, in the form of a brow lift. If you’ve had enough of those tired and weary eyes staring back at you in the mirror each morning, a brow lift is a simple procedure that can turn back the years and restore the youthful vigour you once possessed. It’s common knowledge that when you look great, you feel great and your plastic surgeon can offer you two different brow lift techniques to reinvigorate your face. Brow height, meaning you appear more alert and vital. The frown lines between the eyebrows which will lessen with the lifting of the forehead. Sagging brows which will be re-positioned to reduce the severity of the drooping over the eyelids. Forehead and nose-bridge creases. These will be reduced as the forehead is lifted. Shape of brows for women. A brow lift can give women a more aesthetically pleasing arched brow shape. Tired or irritated appearance, which will make you look more approachable and friendly. There are generally two types of brow lift procedures: The traditional brow lift and the minimal incision brow lift. The type of brow lift procedure you choose depends on the severity of your symptoms. The forehead or brow can be lifted higher for more severe cases. The skin is more easily mobilised. Are You a Brow Lift Candidate? If you are fed up of looking tired and stressed out, and friends have commented on how much older you look these days, it may be the right time to opt for a brow lift. On occasion, low brows are hereditary and because of this, plastic surgeons carry out this procedure on patients younger than 30 years-old. In the early stages after surgery, you may experience some mild discomfort but nothing that cannot be easily allayed with mild pain medication for up to several days after surgery. Day three is usually when bruising and swelling is at its worst and within two weeks you should be able to fully appreciate the results of the procedure. The risks for the brow lift procedure are minimal at worst. You may experience some bleeding or infection and in very rare cases, nerve damage or hair changes but with a skilled and trusted plastic surgeon, the risks are negligible. If you’ve had enough of looking overworked and unapproachable, it might be time for you to seek out a professional plastic surgeon to carry out a brow lift procedure and restore your youthful gaze. Question: What is the most annoying feature of having sagging brows? You can leave a comment below.